Made by pupils of 3 A B Erica – 2D Relazioni Internazionali Teacher contact : Franca Miserocchi ITSC « A.LOPERFIDO » Matera, 30 Mai 2012 PROGETTO COMENIUS. 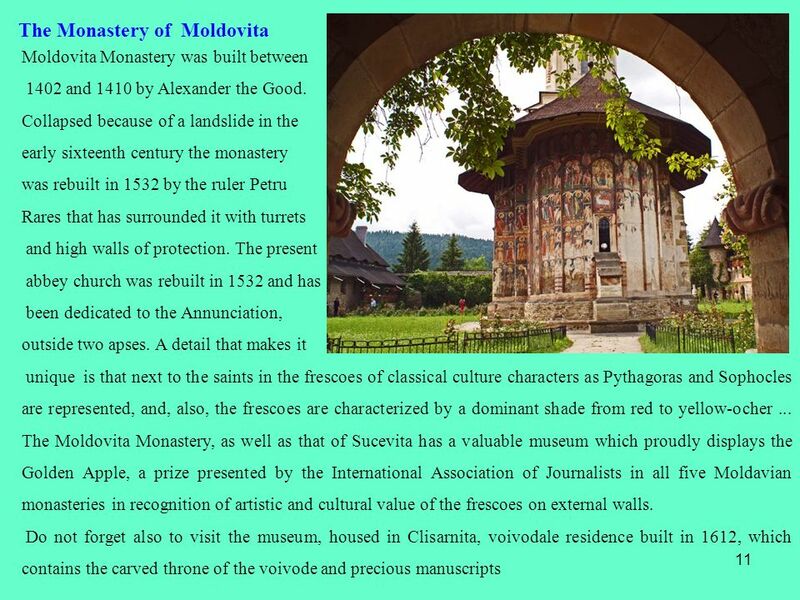 12 Do not forget also to visit the museum, housed in Clisarnita, voivodale residence built in 1612, which contains the carved throne of the voivode and precious manuscripts. Finally we visit the nearby studio of ceramic black Marginea. The archaeological finds of pottery dating back, already, at the Bronze Age. Today's ceramics Marginea are reproduced by hand in a local laboratory. 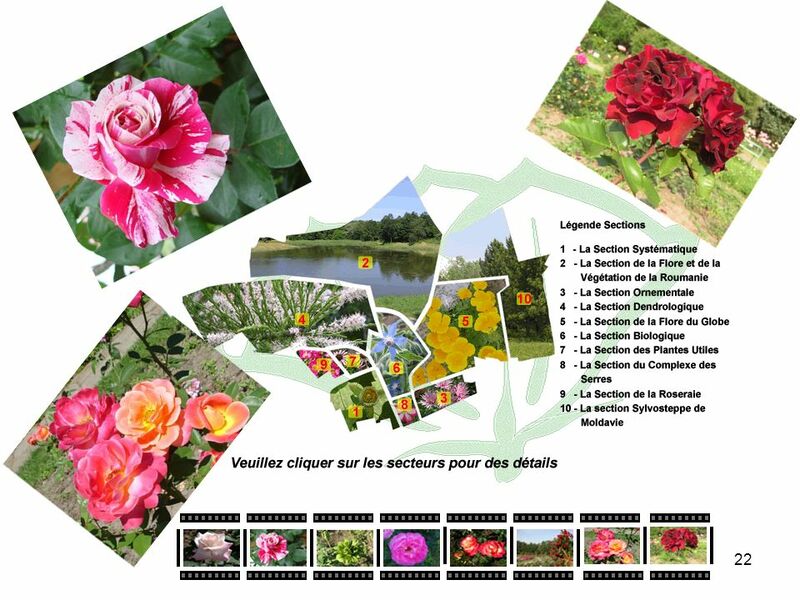 The geographical position of Marginea, surrounded by forests, crossed by the river Sucevita and its clayed land are the main conditions for the artistic creation of this product. Clay. fire and water combine to create a unique and magical product that managed to survive despite the political problems it has encountered. 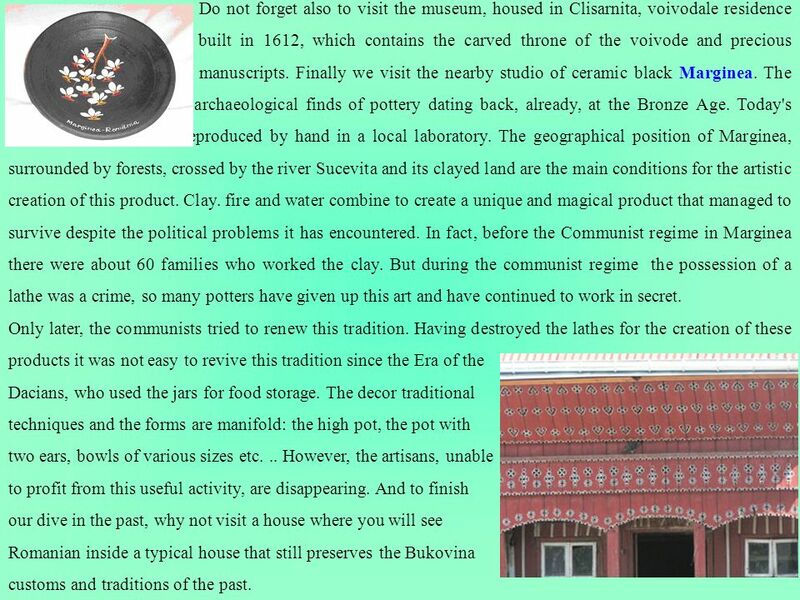 In fact, before the Communist regime in Marginea there were about 60 families who worked the clay. But during the communist regime the possession of a lathe was a crime, so many potters have given up this art and have continued to work in secret. 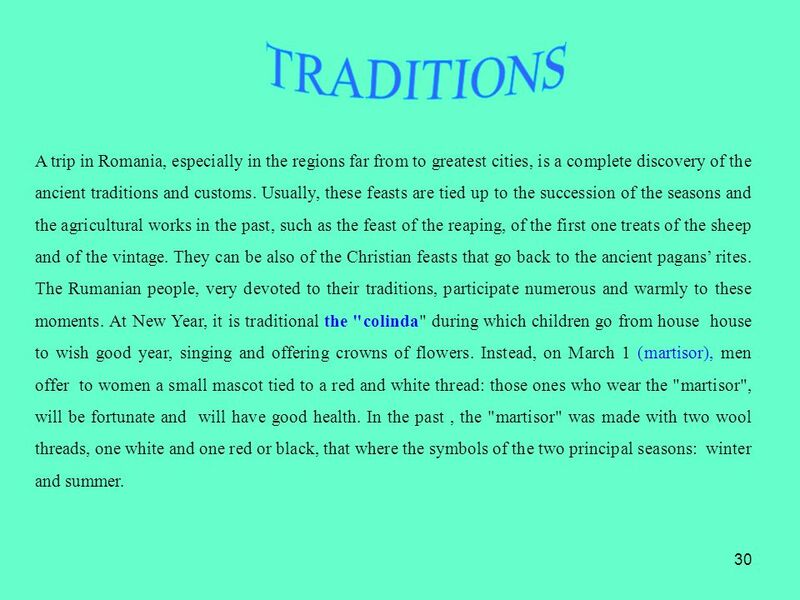 Only later, the communists tried to renew this tradition. 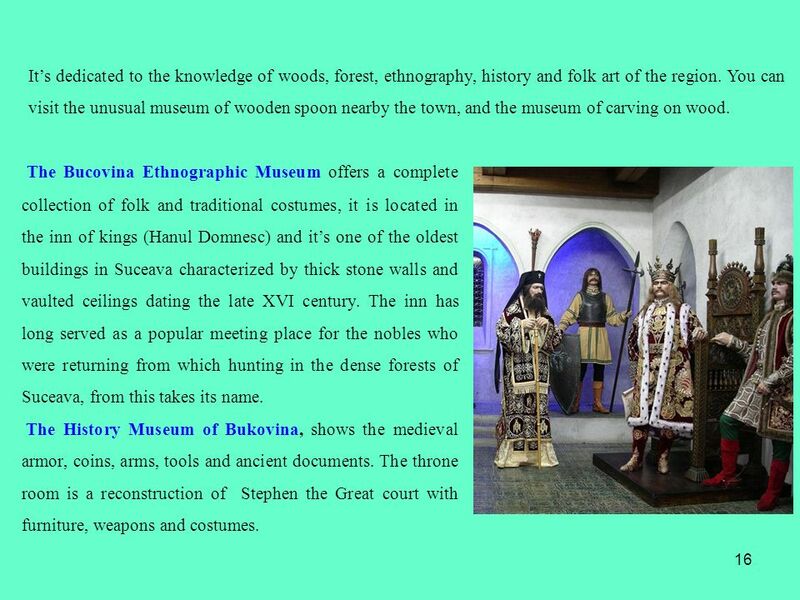 Having destroyed the lathes for the creation of these products it was not easy to revive this tradition since the Era of the Dacians, who used the jars for food storage. The decor traditional techniques and the forms are manifold: the high pot, the pot with two ears, bowls of various sizes etc... However, the artisans, unable to profit from this useful activity, are disappearing. 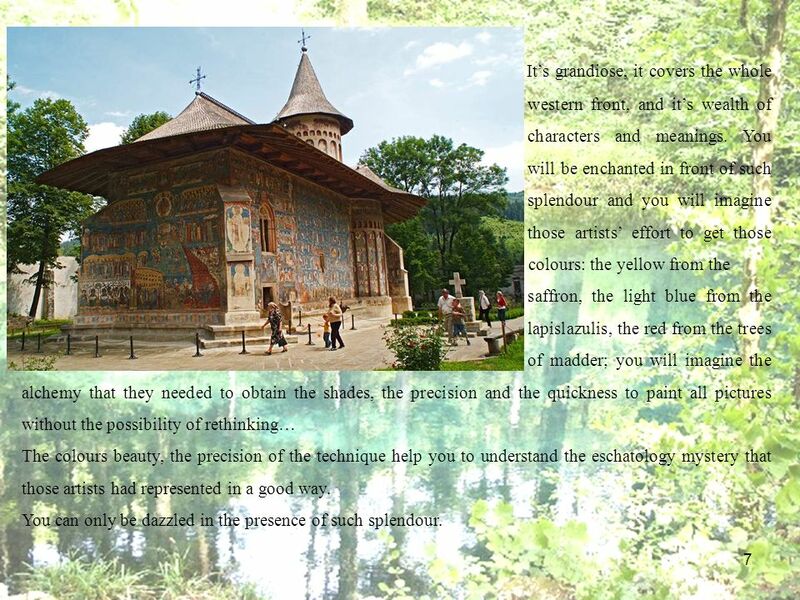 And to finish our dive in the past, why not visit a house where you will see Romanian inside a typical house that still preserves the Bukovina customs and traditions of the past. 27 27 What about wine!? Good and cheap!! The country has extensive vineyards located in the areas most varied and is among the top 10 world producers of wine, appreciated by experts. 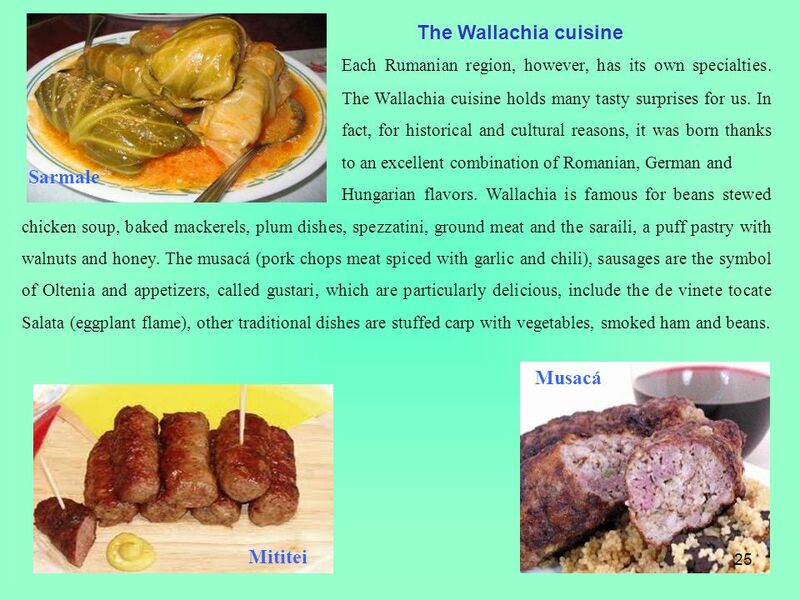 The favorable climate conditions and the ideals and myths of some areas make Wallachia, a manufacturer of light wines and dry, reds and whites, like Sauvignon Blanc, Feteasca Alba o Neagra, Merlot, Cabernet, all French import vines that are enriched by the local flavors of flowers, herbs and roots of various plants or trees. 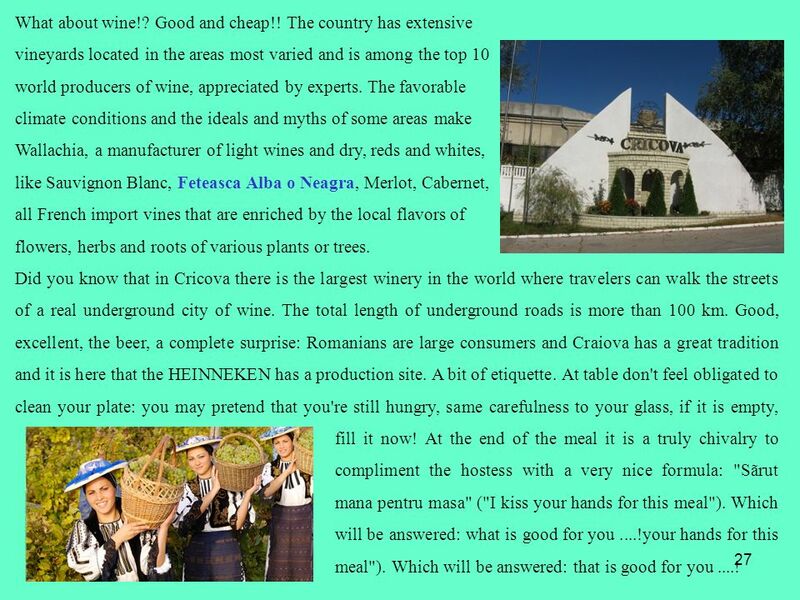 Did you know that in Cricova there is the largest winery in the world where travelers can walk the streets of a real underground city of wine. 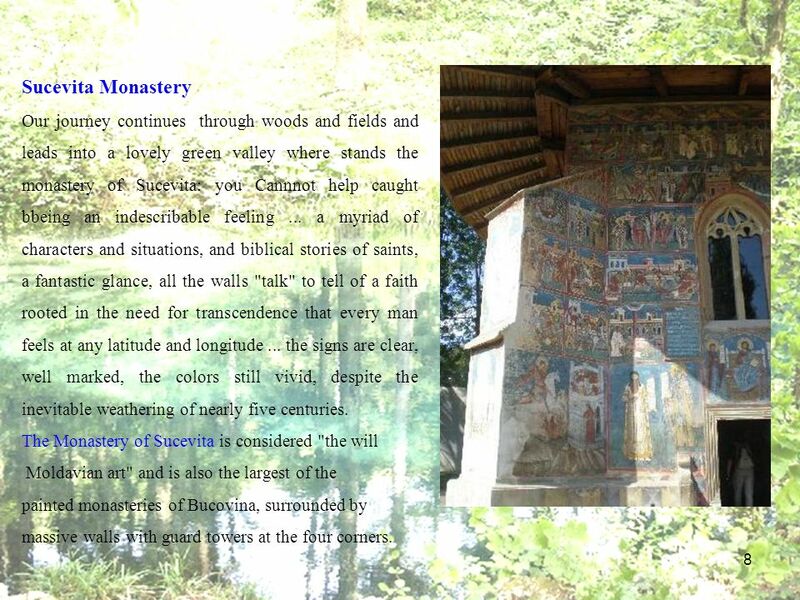 The total length of underground roads is more than 100 km. 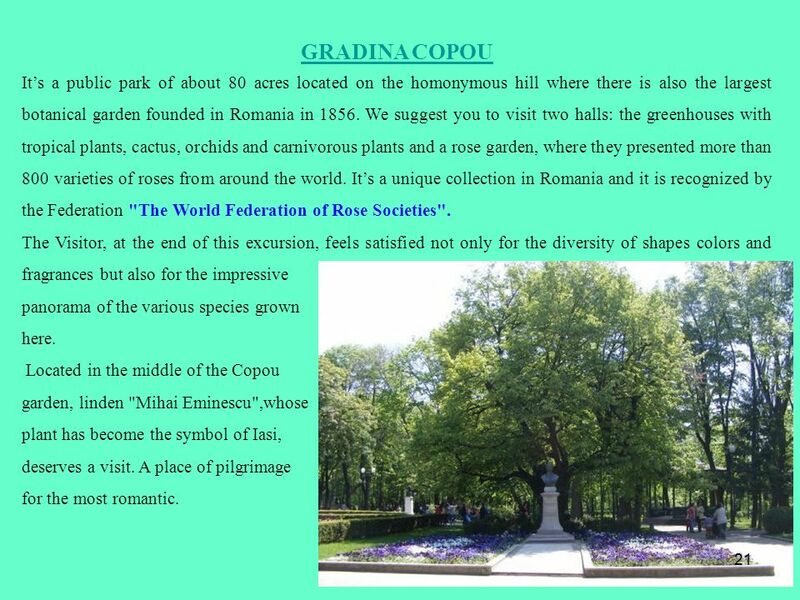 Good, excellent, the beer, a complete surprise: Romanians are large consumers and Craiova has a great tradition and it is here that the HEINNEKEN has a production site. A bit of etiquette. At table don't feel obligated to clean your plate: you may pretend that you're still hungry, same carefulness to your glass, if it is empty, fill it now! At the end of the meal it is a truly chivalry to compliment the hostess with a very nice formula: "Sãrut mana pentru masa" ("I kiss your hands for this meal"). 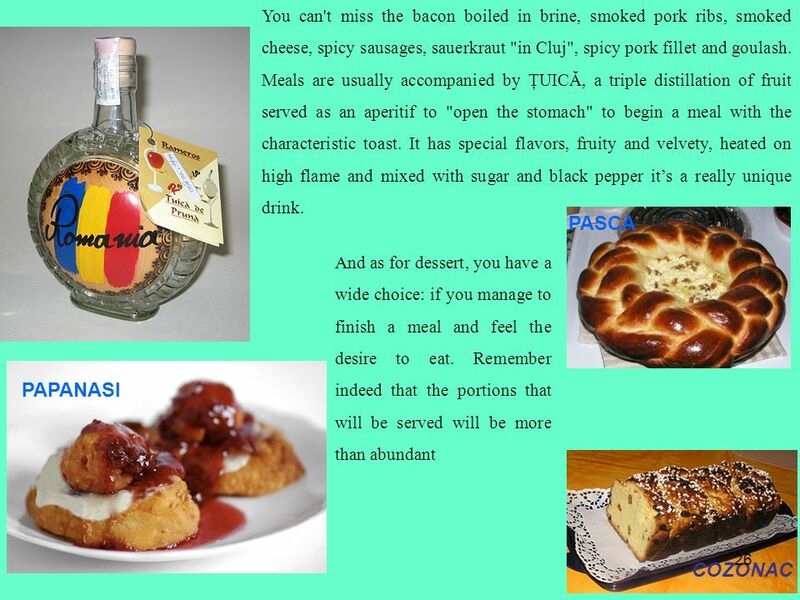 Which will be answered: what is good for you....!your hands for this meal"). Which will be answered: that is good for you....! 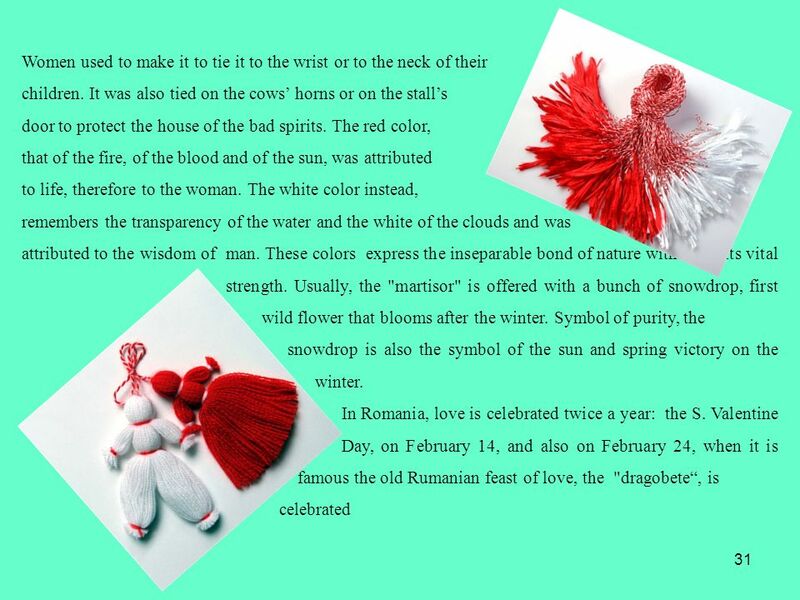 32 32 The name "dragobete" derives from the word "drag", that is "dear" in Rumanian, It is the name of the rural god of the love represented as a fast, strong, good and beautiful youth. Its to this god that the feast is devoted. 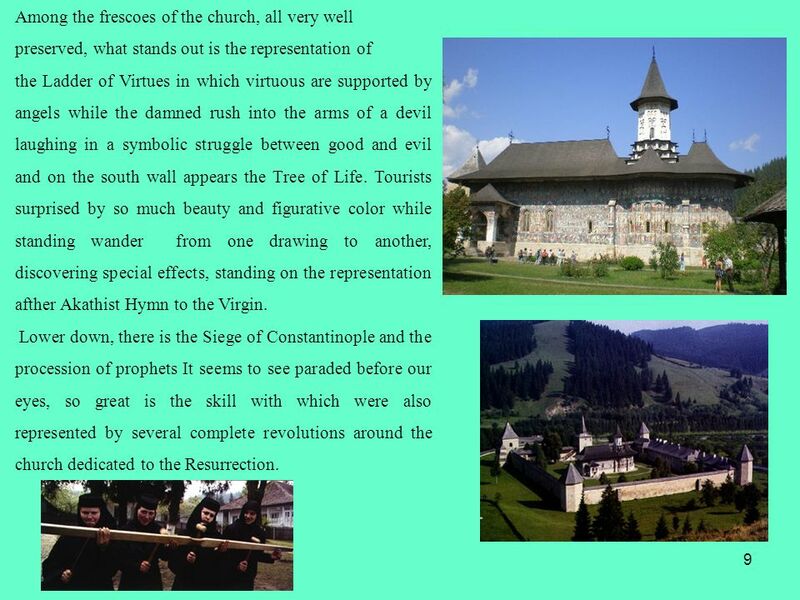 ''Dragobete '' is also the feast symbol of the spring, of the awakening of nature and fertility. 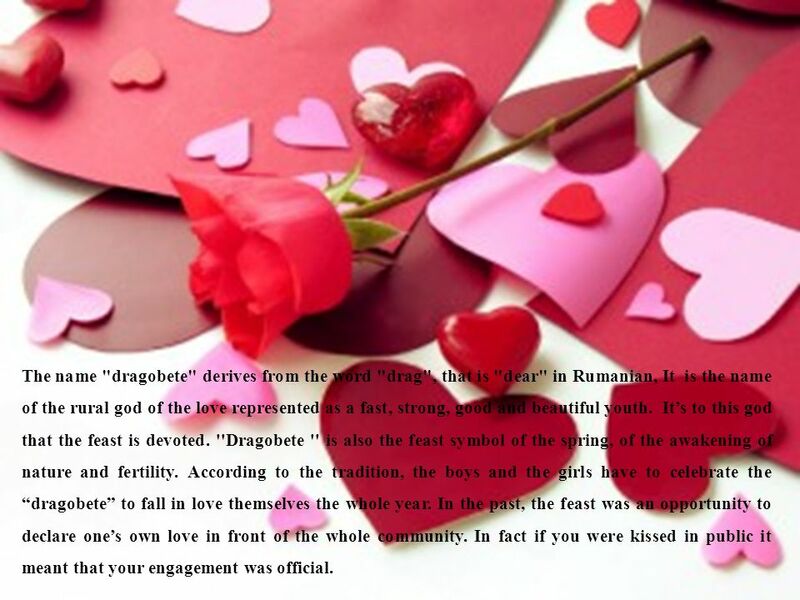 According to the tradition, the boys and the girls have to celebrate the dragobete to fall in love themselves the whole year. In the past, the feast was an opportunity to declare ones own love in front of the whole community. In fact if you were kissed in public it meant that your engagement was official. 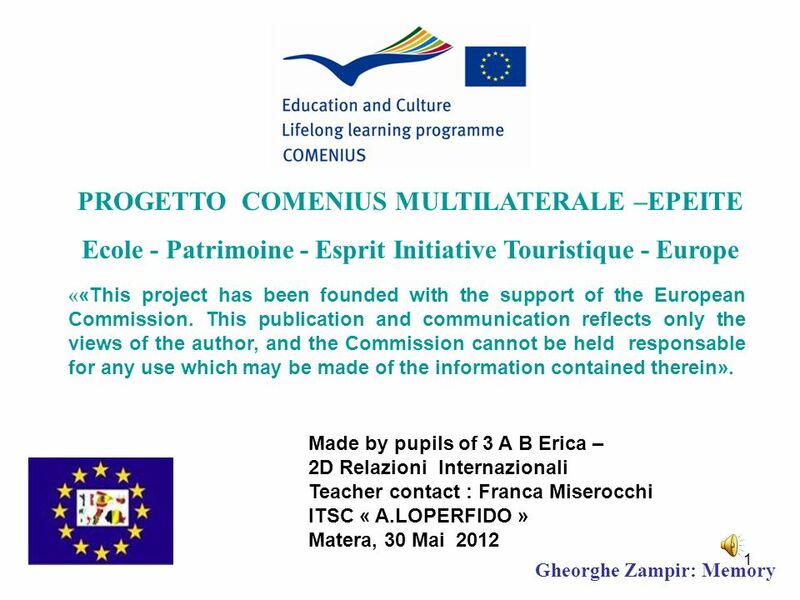 Download ppt "Made by pupils of 3 A B Erica – 2D Relazioni Internazionali Teacher contact : Franca Miserocchi ITSC « A.LOPERFIDO » Matera, 30 Mai 2012 PROGETTO COMENIUS." 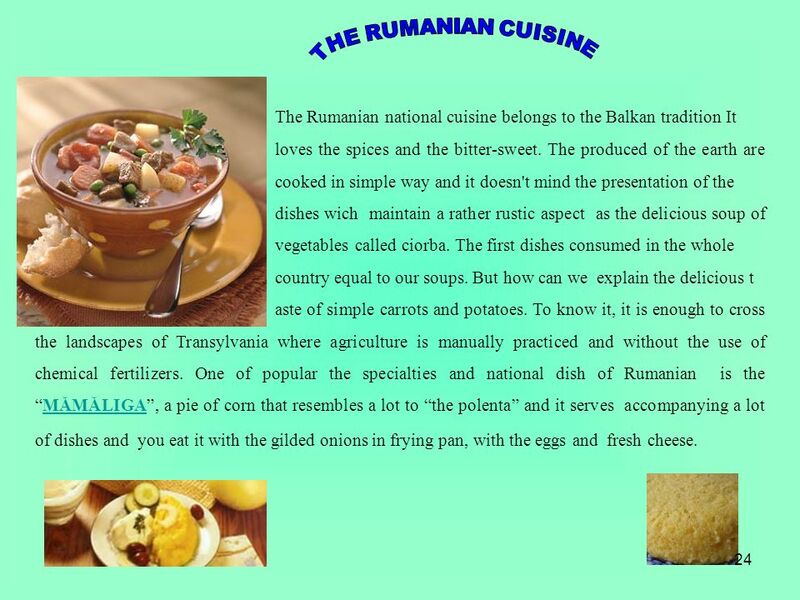 SIBIU ROUMANIA. 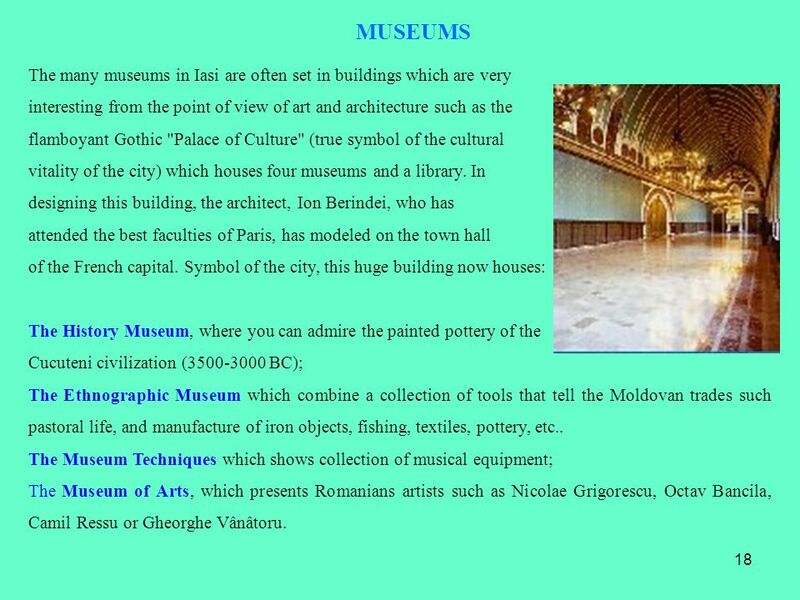 INTRODUCTION Maybe you think Sibiu is a town like any other town, but I certainly dont think so. There is a reason why it was chosen to. 15.1. 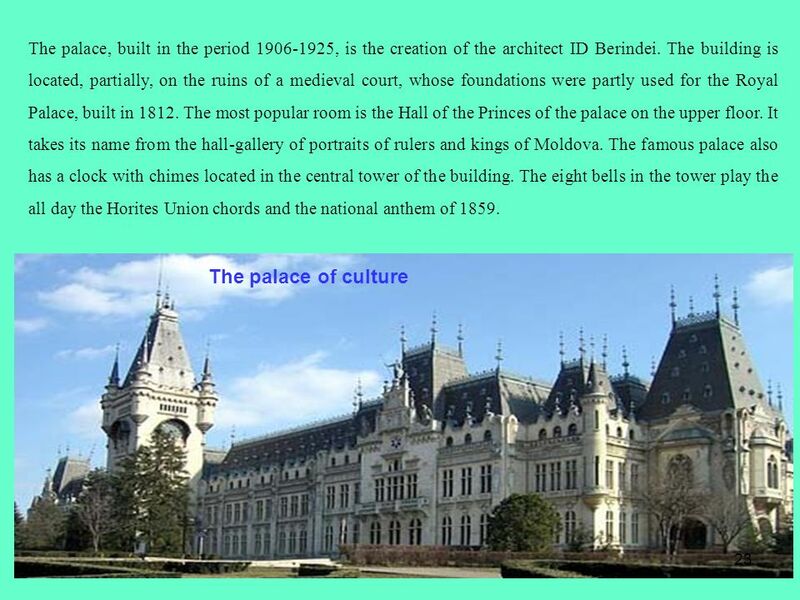 Through out the 13 th and 14 th centuries, the growth of trade kept pace with the growth of cities. 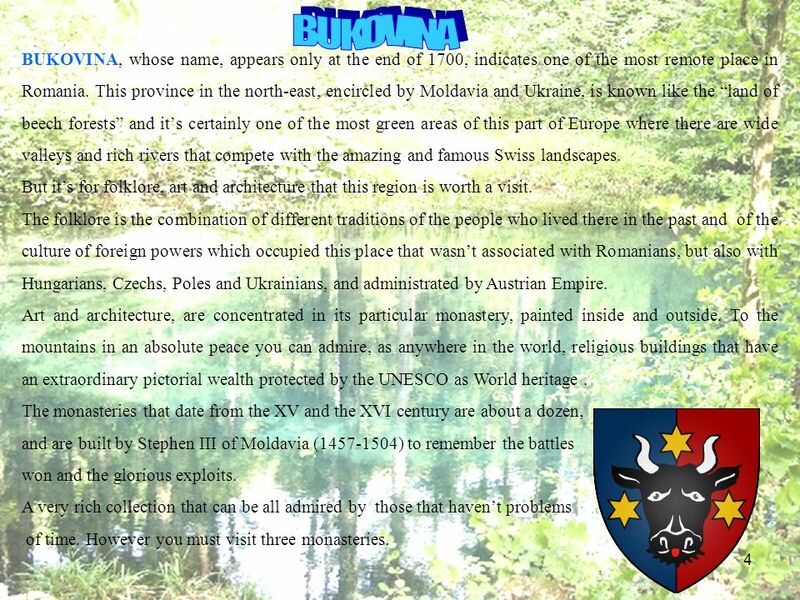 Through out the 13 th and 14 th centuries, the. 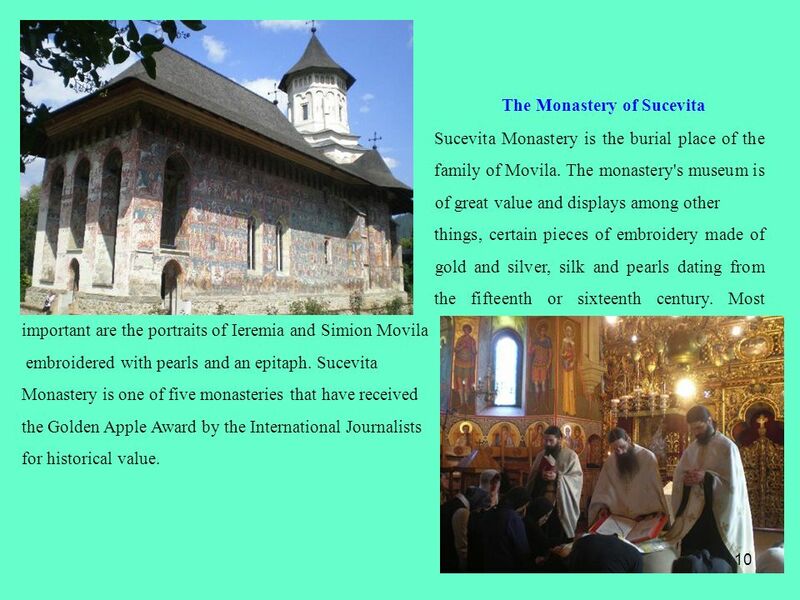 Religions in Romania. What is religion ? Religion is any specific system of belief about deity, often involving rituals, a code of ethics and a philosophy. 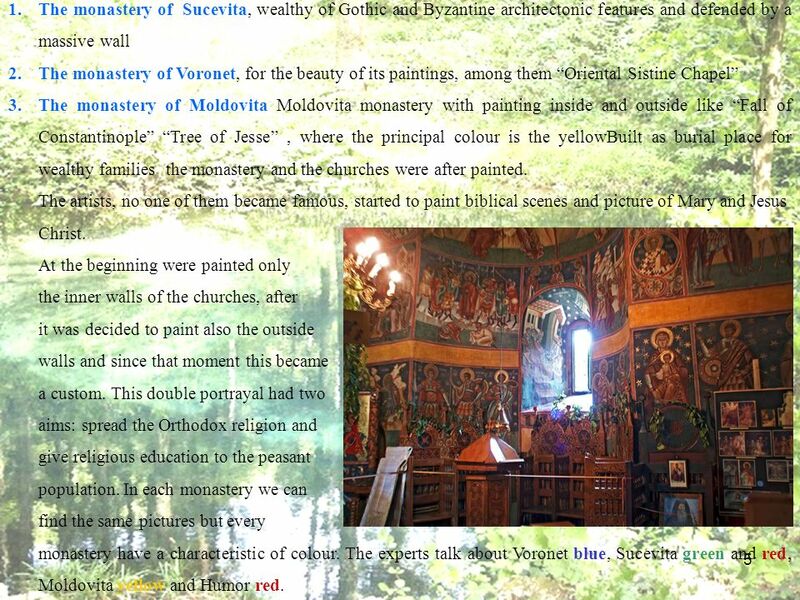 At the last day we visited Pelion and especially Makrinitsa. 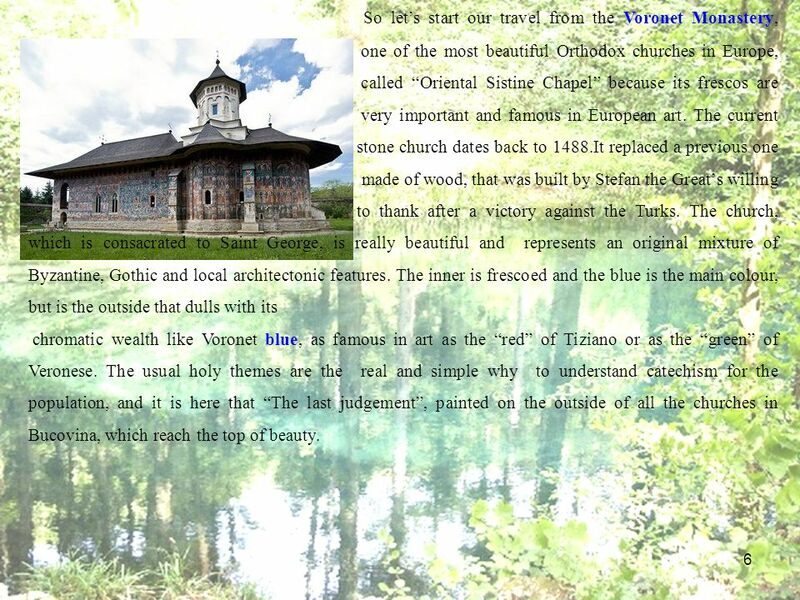 The houses of this village are built in a typical traditional way of the past: P E L I O N.
ENGLISH FOR SUCCESS. The United Kingdom is made up of: England - The capital is London. Scotland - The capital is Edinburgh. Wales - The capital. The most interesting places in Prague Julie Kabeláčová, Mariya Fedoranych. WELCOME TO LONDON In London you can see many magnificent places. Look and remember. 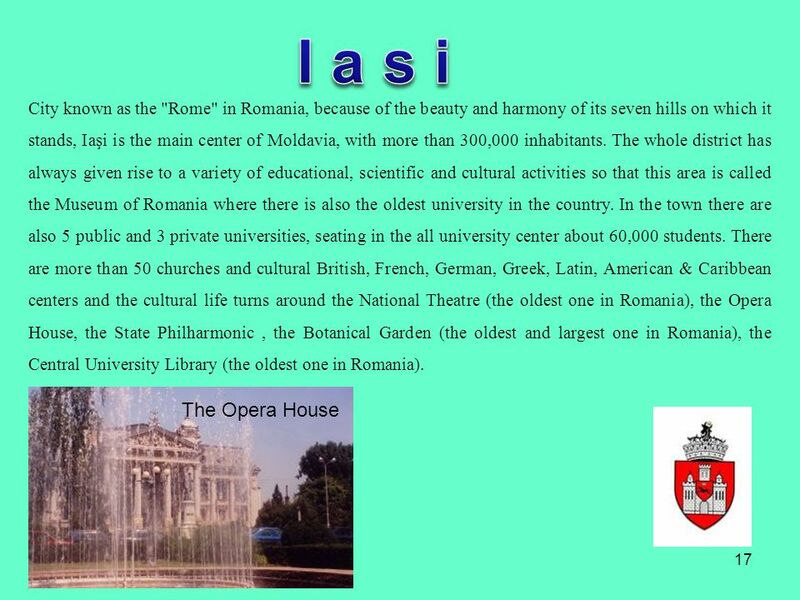 ROMANIA EUROPEAN COUNTRY. 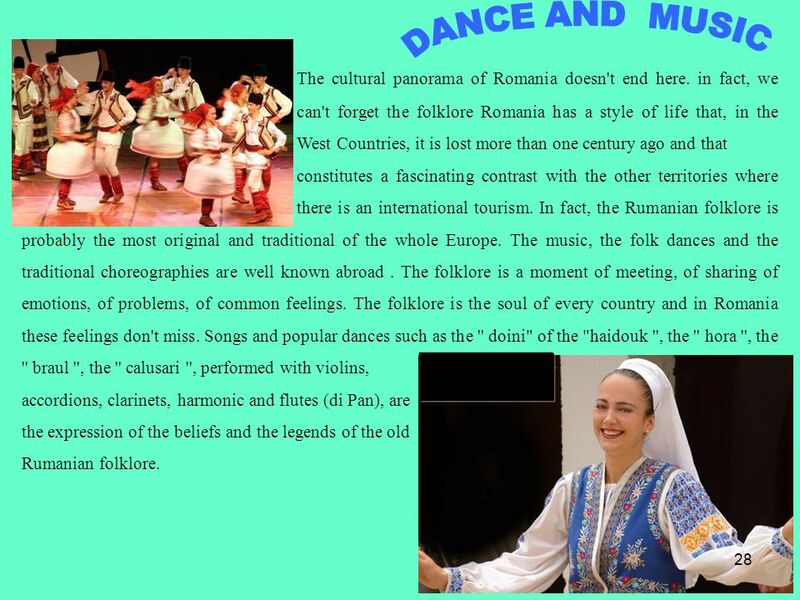 Romania is a country located in South-East Central Europe, North of the Balkan Peninsula, on the Lower Danube, within and outside. 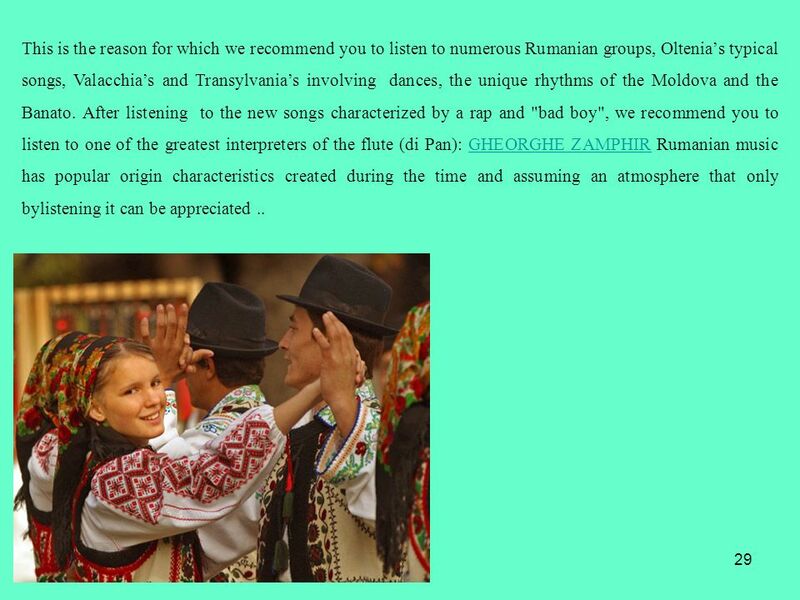 R omania. 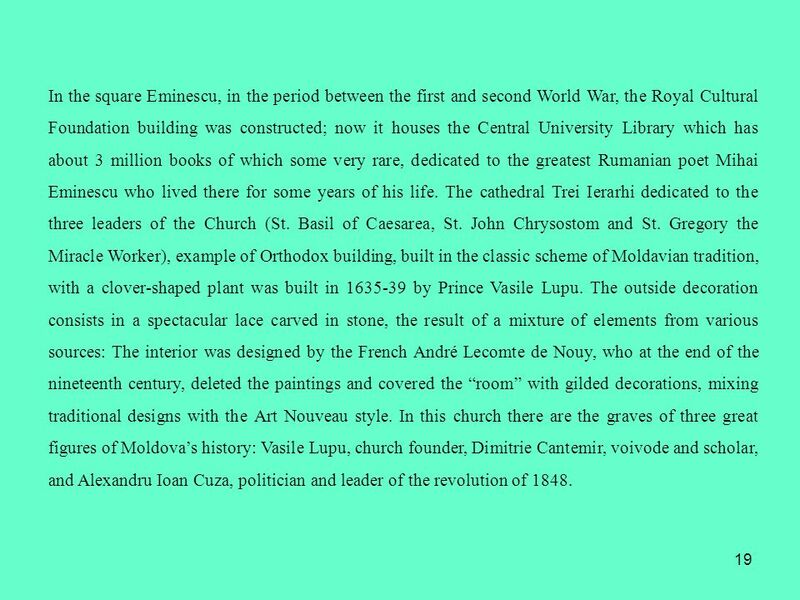 Location Romania is a country located at the crossroads of Central and Southeastern Europe, north of the Balkan Peninsula, bordering on the.